Rett Syndrome (RTT) is a unique neurodevelopmental disorder which begins to show its affects in infancy or early childhood. It is seen almost exclusively in females, although it can occur rarely in boys. It is found in all racial and ethnic groups throughout the world. Rett syndrome is primarily caused by a sporadic mutation in the MECP2 gene on the X chromosome. The MECP2 gene makes a protein, also called MeCP2, believed to play a pivotal role in silencing, turning off or regulating the activity of other genes. The MECP2 mutation (change in the gene) causes the turn-off/regulatory mechanism to fail, allowing other genes to function abnormally. So, RTT is a genetic disorder of developmental arrest or failure of brain maturation. This is thought to occur when subsets of neurons and their connections (synapses) are disrupted during a very dynamic phase of brain development. This deviation occurs at the end of pregnancy or in the first few months of life during the critical phases of synapse development. How mutations in MeCP2 lead to RTT is not well understood but is the focus of intense research. My child has Rett Syndrome. How will this affect our daily life? The age when RTT begins and the severity of different symptoms may vary. The child with RTT is usually born healthy and shows an early period of apparently normal or near normal development until 6-18 months of life, when there is a slowing down or stagnation of skills. A period of regression then follows when she loses communication skills and purposeful use of her hands and slowing of the normal rate of head growth become apparent. Soon, stereotyped hand movements and gait disturbances are noted. Other problems may include disorganized breathing patterns which occur when she is awake and seizures. There may be a period of isolation or withdrawal when she is irritable and cries inconsolably. Over time, motor problems may increase, while interaction and communication, especially with eye gaze, seizures, and irregular breathing may improve. Most individuals with RTT require maximum assistance with every aspect of daily living. The very basics of caregiving include what we do every day: feed, bathe, clothe, toilet and possibly give medication. We may have to lift and carry her, or help her walk, reposition her often for comfort, or change a bib for drool. We might have to program and reprogram a communication device. We most definitely must know how to operate and keep a DVD or MP3 player charged at all times. We have to learn how to find the right professionals, schedule appointments and therapies, search for the right schools or programs, and provide special equipment. We need to take a really hard look at how we’re doing things and how it affects us and the rest of our family. While we can’t erase RTT today, we can face it. It is important to do all that we can, but at the same time recognize that we can’t do it all. Development seemed so normal. What happened? RTT results from a chain of events beginning with the MECP2 genetic mutation. Mutations occur naturally in everyone all the time and most do not cause problems. The MECP2 mutation results in a shortage or absence of normal MeCP2 protein needed to regulate or direct other genes. These other genes affect or control the normal development of selected regions of the brain responsible for sensory, emotional, motor and autonomic function during the critical period of infancy when important milestones are expected to be achieved. Development appears to be normal in early infancy until the MeCP2-related regulation or control is needed. Without these controllers, selected regions of the brain do not develop properly. This explains why the child appears to be developing normally in the first months of life. What does my child’s mutation mean? The discovery of the MECP2 gene made possible the development of a blood test for RTT. The diagnosis of the disorder, however, is still based on symptoms and clinical history. At this time, approximately 85% of all patients diagnosed with RTT also test positive for a MECP2 mutation. This does not mean that the remaining 15% do not have RTT. Although testing positive for a mutation confirms the diagnosis it is not required. It is possible that mutations exist in an area of MECP2 that has not yet been sequenced, or perhaps other genes contribute to RTT. Until 2004, the majority of mutations in MECP2 were identified by analyzing the DNA sequence. At that time, 80-85% of girls fulfilling the consensus criteria for RTT had a mutation in this gene. Picture the MECP2 gene as a book with 4 chapters. Mutations may include having a missing page(s), an extra page(s) or pages in the wrong order. In some cases an entire chapter or two chapters may be missing. The correct term for the chapters is exons. Most mutations were found in exons 3 and 4 (MECP2 has 4 exons, but exon 1 was thought to be silent). More than 200 different mutations in MECP2 that cause RTT have been identified. Yet, eight specific mutations are the most common and account for more than half of all individuals with RTT. Since 2004 a small number of mutations have been identified in exon 1. Even more importantly, the presence of large deletions was detected. These large deletions consisted of loss of an entire exon or more. The large deletions are detected by a completely different method. Combining this new information, 95% or more of girls fulfilling consensus criteria have mutations in MECP2. In addition, we are now beginning to identify MECP2 mutations in males, some of whom have features of RTT, others lacking these features, but instead having much more severe problems leading to early death. If a child has tested negative for MECP2 mutations in the past please consider these additional tests. Does my child’s mutation type determine her clinical features or symptoms (phenotype)? Just as in any other disorder, the level of disability ranges from mild to severe. It is difficult to predict the intensity of symptoms in any individual child. Many girls begin walking within the normal range, while others show significant delay or inability to walk independently. Some begin walking and lose this skill, while others continue to walk throughout life. Still others do not walk until late childhood or adolescence. The same range holds true for using her hands and other skills she may acquire. The clinical features of a particular trait or disorder make up an individual’s phenotype. The gene for a given trait or disorder leads to the person’s genotype. By comparing the two, we are able to correlate the clinical features with a given mutation. In Rett syndrome, this may allow us in the future to make certain predictions on the likelihood of developing specific features such as scoliosis or epilepsy, but much data must still be collected before we can make these predictions. If it is genetic, does this mean I may have another child with RTT? The chance of having more than one child with RTT is very small, much less than one percent. This means that more than 99.5% of the time, the mutation is sporadic, occurs only with this conception and is not repeated in a family. Overall, the bottom line on recurrence risks: If you have an affected daughter and no other affected relatives, the recurrence risk is much less than 1% for your family (you and your children). In families with more than one affected child, the situation is different and would need to be addressed individually through a skilled genetic counselor. Should family members be tested? Both parents can be tested for germline mutations before deciding to have other children. If a mother has a germline mutation, then her daughters who seem to be unaffected may wish to be tested when they reach reproductive age as they too may be asymptomatic or silent carriers. Finally, prenatal testing of any babies conceived in a family where RTT has already occurred is also an option. These options all need to be explored individually through a skilled genetic counselor. What kind of handicaps will she have? Apraxia (dyspraxia), the inability (or reduced ability) to program the body to perform motor movements, is the most fundamental and severely handicapping aspect of RTT. It can interfere with every body movement, including eye gaze and speech, making it difficult for the girl with RTT to do what she wants to do. 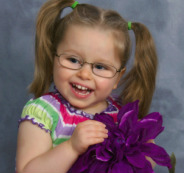 Due to this apraxia and her inability to speak, it is very difficult to make an accurate assessment of her intelligence. Most traditional testing methods require her to use her hands and/or speech, which may be impossible for the girl with RTT. Her mobility may be delayed and she may have difficulty crawling or walking. Since skills are lost, is RTT degenerative? Rett syndrome is not a degenerative disorder, but rather is a neurodevelopmental disorder. Barring illness or complications, survival into adulthood is expected. How often does RTT occur? The worldwide prevalence rate ranges from 1:10,000 to 1:23,000 live female births, making it two to three times more common in females than phenylketonuria (PKU), a congenital error of metabolism for which every newborn in the USA is tested. RTT is most often misdiagnosed as autism, cerebral palsy or non-specific developmental delay. While many health professionals may not be familiar with RTT, it is a relatively frequent cause of delayed development in girls. What disorders must be ruled out? Other possible conditions which could look like RTT must be ruled out. They include Angelman syndrome and the infantile form of neuronal ceroid lipofuscinosis. 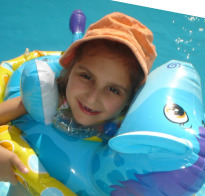 Females with RTT are often misdiagnosed as autism and cerebral palsy. Careful clinical assessment can differentiate these disorders. How does RTT differ from autism? The MECP2 gene mutation is most often found in RTT. Some females with such mutations may exhibit features more typically seen in autism. While RTT occurs primarily in girls, autism occurs much more frequently in boys. In both conditions, speech and emotional contact are impaired. However, females meeting criteria for RTT do not meet those for autism and symptoms seen in RTT and not in autism include deceleration of the rate of head growth, loss of purposeful hand skills, and mobility or the irregular breathing patterns. While hand flapping is seen frequently in autism, the repertoire of purposeless hand stereotypes common to RTT are not seen in autism. The girl with RTT almost always prefers people to objects, but the opposite is seen in autism. Unlike those with autism, the RTT girl often enjoys affection. While girls with RTT often have autistic-like features at an early age, these features disappear. How is the RTT diagnosis made? 2. Atypical RTT: those who do not meet all of the diagnostic criteria for classical RTT. The diagnosis of atypical RTT must include at least three of the primary criteria and five of the eleven supportive criteria. Atypical RTT accounts for 15-20 percent of all RTT diagnoses. Congenital Onset RTT: developmental delay is noticed shortly after birth with no early normal development; or severe seizures in early infancy impairing early development. Late Onset RTT: signs are delayed beyond the typical 18 month onset, in some cases to age 10 years or more. How can I be sure my daughter has it? Most parents know their daughters better than anyone. Often, they know that Rett Syndrome fits from the first description. Physicians use Diagnostic Criteria Guidelines. Is Rett syndrome seen predominantly in one race? No. A statewide population study in Texas has revealed that the incidence of RTT in the African-American and Hispanic population in the United States is comparable to that in Caucasian Americans. Do all girls move through the stages of Rett Syndrome similarly? No. The stages of Rett syndrome are guidelines provided to help understand the natural history of the disorder. The course of RTT is predetermined according to her mutation and X-inactivation status, and varies from one child to another, including the age when RTT begins and the speed and severity of symptoms. Therefore, two girls of the same age can appear quite different. What will she be able to do? 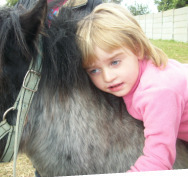 Although the girl with RTT will need help for most activities of daily living, she can learn some independent skills. Girls can learn to use the toilet with assistance and may learn to feed themselves by hand or with utensils with some assistance. Some girls can learn to use augmentative devices to communicate. Despite their difficulties, girls and women with RTT can continue to learn and enjoy family and friends well into middle age and beyond. They express a full range of emotions and show their engaging personalities as they take part in social, educational and recreational activities at home and in the community. What drugs have been tried? L-Dopa is a synthetic form of dopamine. It has been found to improve rigidity during the motor deterioration stage (4), but otherwise failed to provide improvement on a consistent basis. Naltrexone (Revia) is an opiate antagonist, used to alleviate the drug high in addicts. It was tried in RTT due to the unusually high level of naturally-occurring opium-like brain chemicals called endorphins in the spinal fluid of girls with RTT, and their diminished response to pain. The study was limited to the dose of 1 mg/kg/day and did not show dramatic results. However, independent studies have shown that use of naltrexone in higher or lower doses may be beneficial in controlling irregular breathing and seizures, and in alleviating screaming spells. This may be due to the drug's sedative effects. One negative aspect of the study was that performance on the Bayley Scales of Infant Development was significantly worse during the administration of the drug compared to placebo, also possibly due to its sedative effect. Another negative side effect is loss of appetite. Bromocriptine (Parlodel) is a drug which improves the functioning of the dopamine system in the brain. One drug trial showed initial improvements in communication, decreased agitation and reduced hand movements in the first phase; however, when the drug was stopped symptoms reappeared, and the reintroduction of the drug did not bring back the initial improvements. The drug was found to be most effective in those girls who had milder symptoms. Tyrosine (dopamine and noradrenalin) and tryptophan (serotonin) are amino acids, used to boost neurotransmitter levels. The study indicated no differences in clinical performance or EEG patterns. L-Carnitine is a derivative of the essential amino acid lysine, and is often found to be deficient in those who take anticonvulsants. A single case report of one child indicated improvements in language and awareness. However, the child reported was an atypical case of RTT, and these results have not been replicated. In another study of 35 girls, carnitine supplements (100 mg/kg/day) did not lead to any major neurological improvements in the group as a whole. However, approximately 75% of the families involved in the study reported subtle, but important improvements to their quality of life while on the drug, including increased alertness, increased mobility, less daytime sleeping, increased energy, and improvement in constipation. Some parents reported their daughter saying a word for the first time in a number of years. L-carnitine has been found beneficial in a large group of girls with RTT to increase muscle mass. A beneficial side effect is loose stools. The Blue Bird Circle Rett Center at Baylor College of Medicine, Houston, Texas and the Rett Center for Excellence at the University of Alabama at Birmingham conducted a double-blind placebo-controlled treatment study using betaine and folate. No objective improvement was noted, but parents did describe improved alertness and interaction in those receiving the active agents. A clinical drug trial using dextromethorphan (DM) has been initiated at the Children's Center in Johns Hopkins Hospital. It has been shown that receptors for the excitatory amino acids glutamate, in particular the NMDA type, are increased in the brain of young girls with RTT. This neurotransmitter and its receptors, when in excess, cause harmful over-stimulation of the nerve cells (neurons) in the brain, contributing in part to the seizures, behavioral phenotype, and cognitive impairment, in RTT. The study will examine the effects of this neurotransmitter and its excessive receptors using DM because of its identified ability to block NMDA receptor channels. This drug is approved for human use. Infants with respiratory infections and cough, as well as non-ketotic hyperglycinemia have been treated with DM. It has been well tolerated. The clinical trial will study the benefits of DM vs. placebo on EEG, seizures, cognition, and motor impairment seen in RTT. Due to the rarity of RTT, very little is known about long term prognosis and life expectancy. Most of those who have been identified are under 18 years of age. It is often difficult to identify older girls and women due to the frequent lack of complete infant and childhood developmental records. However, studies have determined that a girl with RTT has a 95% chance of surviving to age 20-25 years. This compares to a 98% survival probability for the general U.S. female population. Between the ages of 25-40, the survival rate drops to 69% in RTT, compared to 97% in the general U.S. female population. The average life expectancy of a girl given the diagnosis of RTT may exceed 47 years. While a few women in their 40's and 50's are known to have RTT, but too few women have been identified to make reliable estimates beyond age 40. While these statistics show that life expectancy is less in RTT, it is not nearly as low as previously thought or as other similar neurological disorders. What are the causes of death? It is important to note that only ~5% of cases reported to the IRSF have resulted in death. This means that 95% of those diagnosed are still living. The most frequently reported causes of death (one-quarter of deaths) are variations of sudden, unexplained death with no apparent underlying cause such as an acute injury or infection. The factors most strongly associated with an increased risk of sudden unexplained death in RTT are uncontrolled seizures, swallowing difficulties and lack of mobility. Physical, occupational therapy, nutritional status or living arrangements made no difference in the incidence of sudden unexplained death. Other deaths have resulted from pneumonia. The factors most strongly associated with an increased risk of death by pneumonia are compromised lung function due to scoliosis and difficulty swallowing. Other causes of death include malnutrition, intestinal perforation or twisted bowel, as well as accidents and illness. When she dies, what can we do to help find answers? Although she may be at higher risk for life-threatening events such as pneumonia, choking and seizures, it is very likely that your daughter will live a long life. However, we are all at risk for accidents of many types and illnesses that are unexpected. A time will come when we will all die. Researchers are ready to listen, to learn, and to share. You can participate in research studies that will help us understand RTT. What has research taught us about RTT? Frontal lobe: Cerebral blood flow appears reduced, particularly in frontal brain regions and is more like that seen in a 7 week-old child. This area is more involved than other brain parts. It is necessary for mood and emotion. Temporal lobe (limbic system): no anatomical change; needed for memory, learning, emotion, behavior. Cerebellum: reduction in some cell populations; needed for equilibrium and balance. Hippocampus: no anatomical change; necessary for information processing. Medulla (Brain stem): strong evidence of brain stem immaturity, leading to problems with the autonomic nervous system, such as sleep, salivation, breathing, heart rate, swallowing, bowel motility, blood circulation in hands and feet, and reduced sensitivity to pain. 3. Glutamate - necessary for brain plasticity, important in seizures and cell death. Rett Syndrome was previously described as a neurodegenerative disorder, with very poor prognosis and little potential for learning. Scientific studies have now identified Rett Syndrome as a disorder of neurodevelopmental arrest, which begins shortly before or after birth at a critical time of brain and synapse formation. How do we know that RTT is a condition of developmental arrest? These studies reverse the previous hypothesis of brain degeneration, opening doors to educational programs and therapies that could help. Studies have raised speculation that the primary conduction abnormality may be influenced by neurotrophic (growth) factors responsible for maturation of the heart and central nervous system. It is felt that these same neurotrophic factors may drive changes in the intestinal tract. These studies pave the way for treatments that will ultimately lead to a better way of life for girls with RTT. What are some other research findings in RTT? 1. Growth failure has many causes, but has a strong basis in nutritional deficit. 2. Progressive weight and height failure despite aggressive nutritional rehabilitation. 3. Repetitive involuntary motor movements are not associated with increased energy expenditure. 5. Deficits in lean body mass persist despite aggressive refeeding regimens. 6. Deficits in lean body mass may be associated with increased rates of amino acid oxidation and urea recycling. 7. Preliminary data suggest that the intestinal absorption of calcium and vitamin D status are normal in RTT, despite the presence of reduced bone mineral density. 8. Oropharyngeal dysfunction and gastroesophageal dysmotility are found in 100% and 69% of Rett syndrome girls, respectively. 9. Abnormalities of oropharyngeal dysfunction include poor tongue mobility, reduced oropharyngeal clearance, and laryngeal penetration of liquid & solid food during swallowing. 10. Esophageal dysmotility, including abnormal wave patterns, delayed emptying, atony, gastroesophageal reflux; gastric dysmotility, including diminished gastric peristalsis or atony, and gall bladder dysfunction. 2. Prolonged video/EEG/polygraphic studies confirm that the occurrence of epileptic seizures is overestimated in Rett syndrome. Many events were frequently reported as typical seizures but were not associated with EEG severe discharge; these events include twitching, head turning, staring, laughing, pupil dilatation, breath holding, and hyperventilation. Actual seizures may be under-recognized. 3. No one characteristic seizure type has been identified in Rett syndrome; both focal and generalized electrographic seizures are recorded. Video/EEG monitoring may be necessary to provide definitive information regarding the need for anticonvulsant therapy. 1. Morphologic (anatomical) features are unique, with only decreased brain weight being consistently present. The brain is preferentially involved in this altered growth; other organ weights are appropriate for the individual's height. 2. No consistent evidence of a degenerative, inflammatory or ischemic process. 3. No evidence of a progressive change in brain morphology over time. MRI and EEG studies support this observation. 4. Best hypothesis to fit the fact that there is no recognizable disease process is that RTT seems to be the result of a maturational arrest of brain development. Golgi studies suggest that arrested brain development affects dendritic size in selected brain regions, namely the frontal, motor, and limbic regions. 5. Alterations in numerous neurotransmitters have been observed, but no evidence suggesting that these represent the primary defect. 6. Is mitochondrial disease a secondary effect in RTT? 7. No reproducible evidence of mitochondrial dysfunction exists. 1. The prevalence of Rett syndrome is 1 per 22,800 (0.44/10000) females aged 2-18 years of age as determined in the Texas Rett Syndrome Registry. Studies in Sweden yielded a prevalence rate of 1:10,000. 2. Rett syndrome has been reported in all races and ethnic groups. 3. Rett individuals have an estimated 70% survival at age 35 years; this contrasts sharply with an estimated 27% survival at 35 years for severely retarded individuals. 4. The majority of deaths in Rett syndrome are either sudden and unexpected or secondary to pneumonia. What happens when she hyperventilates? Deep breathing expels more carbon dioxide from the body than usual, so her hyperventilation causes her carbon dioxide level to fall. Carbon dioxide is one of the body’s normal waste products carried in the blood. Its purpose is to maintain the acid/alkali balance so that cells can function normally. When her carbon dioxide level falls, cells cannot function normally. Hyperventilation may cause her to feel dizzy and her fingers to tingle. What happens when she holds her breath? When she holds her breath, her oxygen level in the bloodstream falls. This may cause her to feel faint. Are the abnormal breathing episodes or tremors related to seizures? The abnormal breathing episodes can resemble epileptic seizures, but they are not. Sometimes, what is thought to be a seizure is not, and some seizures may fail to be recognized when she is asleep or even awake. Vacant spells are brief interruptions of awareness that may resemble seizures but are not. Will she always breathe this way? For the majority of girls, irregular breathing patterns become less noticeable as they get older. What should we do about her irregular breathing? Although episodes of breath holding produce great anxiety for parents to watch, they are always followed by regular breathing. Observing the irregular breathing can cause great concern, but experts in RTT recommend a low key approach, taking comfort in the fact that girls do become accustomed to the irregular breathing and regular breathing will soon return. While it may seem like forever, it is important to stay calm and in control. How can breathing be so abnormal when she is awake and normal when she sleeps? In Rett syndrome, irregular breathing occurs only when she is awake and does not usually occur during sleep. When she is awake, the periods of abnormal breathing result from probable immaturity of neurons regulating voluntary control of breathing mechanisms. During periods of sleep, automatic breathing systems prevail allowing her to breathe regularly and continuously. When abnormal breathing is seen in some girls with RTT during sleep, it is of the obstructive type, usually from enlarged adenoid/tonsils. Airway obstruction may be caused by mechanical problems in the breathing passages. Mouth breathing, snoring and frequent ear infections may be signals that your daughter has a problem which should be evaluated by an ear, nose, and throat specialist. Are the breathing problems dangerous to her health? They can be alarming to watch, and may make her somewhat uncomfortable, but they are not felt to cause permanent damage. Cessation of breathing during sleep is not typically seen in RTT. However, if your child stops breathing for short periods of time while asleep, you should talk with her physician. She may need testing to rule out airway obstruction. This is a separate problem from RTT, for which there is treatment. How can I tell if she is swallowing air? Air swallowing can be difficult to detect or may be prominently associated with breath holding. Air can be swallowed inadvertently in significant amounts each time she eats. It can also occur throughout the day in small amounts. Sometimes it is easy to hear air as it is being swallowed. If her upper abdomen is distended shortly after she eats it could be that she is swallowing air. Here are some signs and symptoms associated with air swallowing: If a large amount of air stays temporarily in the stomach, it will lead to sudden distention of the upper part of the abdomen. The stomach stretches, creating significant tension. If the girl with RTT is unable to burp or pass gas, the bowel wall may become thin over time. This is especially true in individuals who have a poor nutritional status. If you suspect that she is swallowing air, there are a few things you can do. Decrease the length of mealtimes if it appears she is swallowing air while eating. Minimize stress and discomfort. Sit her in an upright position after she eats to help her burp and decrease the amount of gas in the stomach that is passed into the bowel. Keep on top of constipation so that gas does not accumulate in the mid intestine. In some situations, even the frequent use of enemas (not routinely recommended) may be preferred to severe episodes of abdominal distention. If these measures are not adequate and her abdominal distention is severe, you may need to ask the advice of her physician on more aggressive methods. Early detection as well as consultation with a gastroenterologist are extremely important to avoid progression of the problem and to manage it as early as possible, thus preventing more severe complications. Should she have an electrocardiogram (ECG)? By age 5, your daughter should have an ECG performed. If normal, it should be repeated every other year. If abnormal, a cardiologist expert in electrical function of heart should be consulted. What can be done about heart irregularities? If irregularities are noted on the electrocardiogram, a cardiologist may be consulted. Nonspecific ECG changes probably do not warrant medications, but prolonged QT syndrome may require attention.